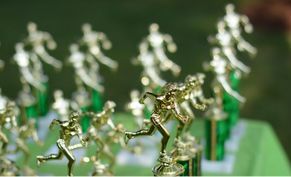 ​The major fundraiser for the Helene Cody Foundation is the annual Helene Cody Cranbury 5k & One Mile Fun Run. 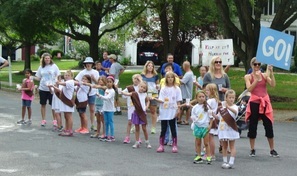 Helene intended on reviving the Cranbury Day 5k, an event that had been discontinued in 2006, as her 2008-2009 Girl Scout gold award project. This work would combine her love of distance running and community service. She hadn't known that a classmate, Greg Carroll, was also planning to revive the 5k as his Boy Scout Eagle Project. When she passed, Greg completed his project in memory of Helene. 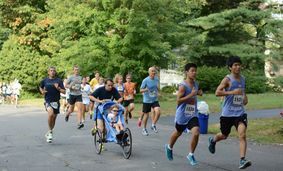 Every year since the first annual Helene Cody Cranbury 5k in 2009, the Helene Cody Foundation has used the 5k to bring the community together and use the proceeds to provide scholarships and carry out service projects with the Helene Cody Foundation. Register by September 5th to receive a $5 discount on registration and to make sure you receive a t-shirt! Shirts will be given to registrants while supplies last for those who register after Sept. 5. USATF members receive an additional $2 discount. Packet pickup night is on Wednesday, September 5th at the Princeton Running Company from 6-8 PM. Those who have preregistered may pick up their t-shirt and race bib at this event to avoid the lines on race day. You may also fill out a paper registration form here (cash or check only)! September 5th is the last day to receive the discounted registration fee of $20 for the 1 Mile Fun Run / $25 for the 5K and to ensure that you receive a t-shirt. You may still register the morning of the race at the Cranbury Fire Department (cash or check only). Please note that t-shirts are not guaranteed for those who register on race day! 1 Mile: $25, registration from 7:30-8:00 AM. 5K: $30, registration from 7:30-8:30 AM.